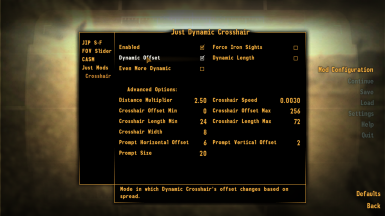 Just a mod that adds dynamic crosshair which reacts to changes in weapon's spread. Fixed issues with True Iron Sights off, Zoom, 3rd person. 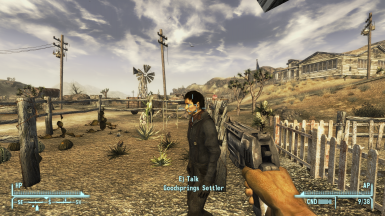 This small mod adds a dynamic crosshair that reacts to holstering and weapon spread changes. 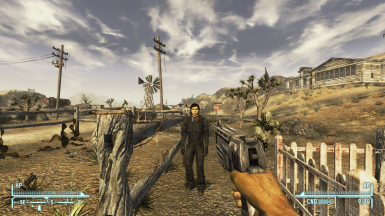 Unlike old Project Nevada analogue (and the ripped version), this is made with new JIPLN functions, better optimization and is fully scripted to react to spread changes that may come from new mods (i.e. new spread-related perks or new ammo calibers). 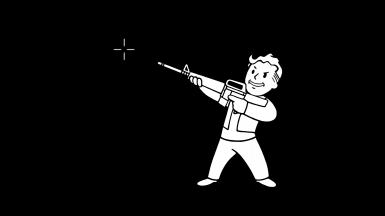 This mod is highly customize-able, you can change sizes, offsets, try out different ways of the crosshair to react to spread.